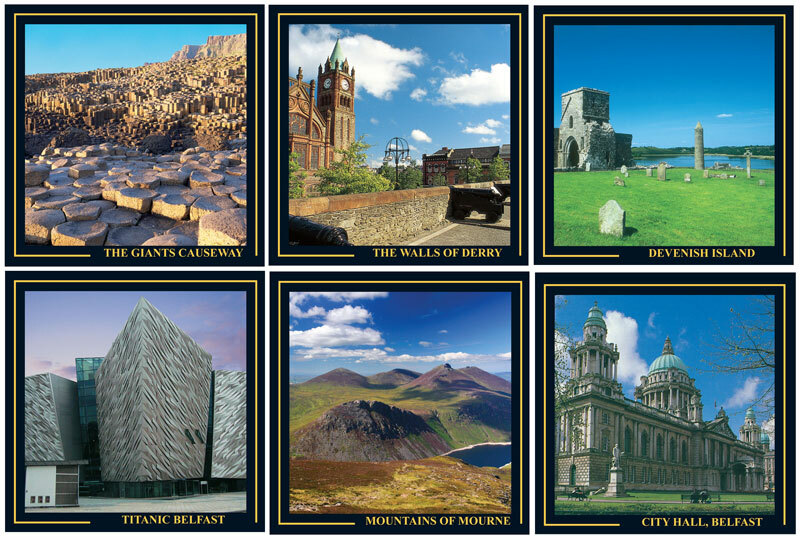 Irish Coasters featuring scenes from Northern Ireland including Belfast City Hall, the Giant's Causeway, the Walls of Derry, Devenish Island, Titanic Belfast and the Mournes. See below for detail. 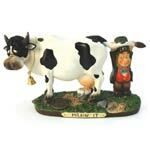 This is actually how Leprechauns milk cows, I bet you didn't know that. You do obviously have to be careful at that end though! 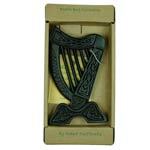 From the Black Bog collection, a genuine piece of Irish turf, sculpted into the shape of an Irish harp. 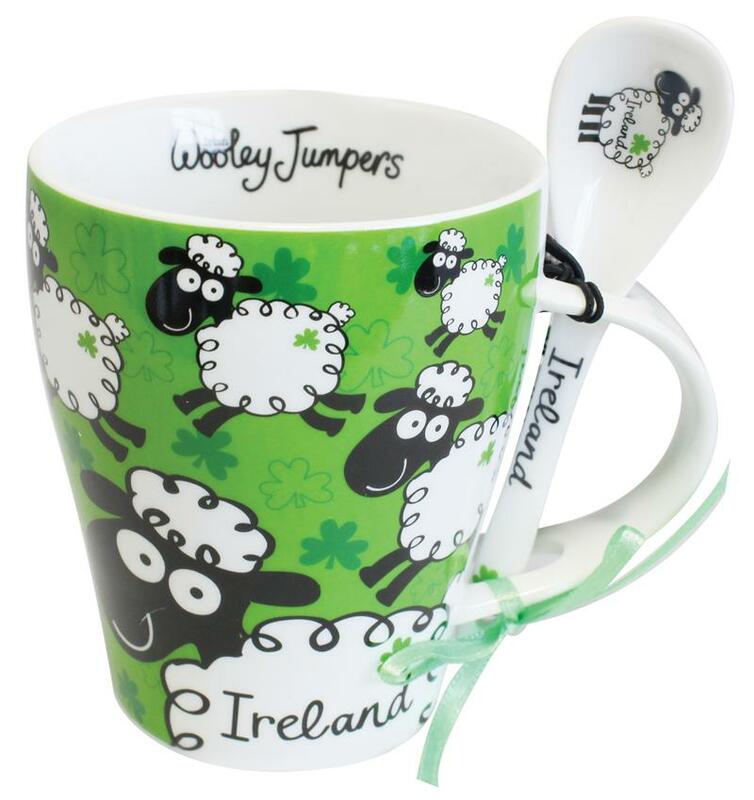 A really cute mug and spoon set from the "Wooley Jumpers" Kitchen collection. 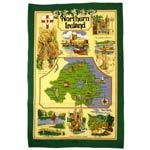 Bring a bit of Ireland into your kitchen! 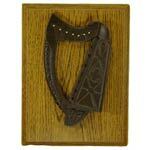 An Irish harp perfect for the mantlepiece or to hang on the wall. 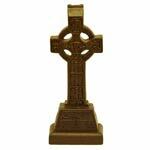 Sculpted from real Irish turf.Overall size 6" x 7.75". 5" high carved turf sculpture. 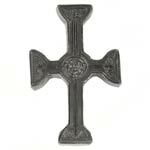 A depiction of the Cross of Monasterbolce. 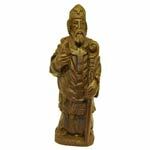 This is an 8" tall statue of St Patrick, Irelands most famous Patron Saint. 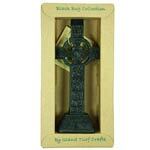 Carved from 100% Irish turf. Inspired by the 5000 year old, Megalithic tomb Newgrange, this stunning Irish clock is decorated with elaborate Celtic designs. Stands 3.5" tall. 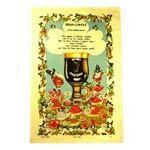 Carved from 100% Irish turf. 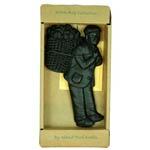 A 7" high carved turf sculpture with a large base. 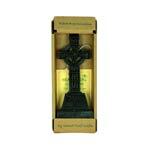 A depiction of the Cross of Monasterbolce with increadible detail. 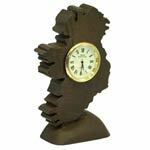 The outline of the island of Ireland is the background for this quality time piece. 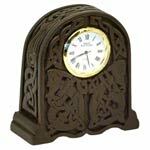 Carved out of 100% irish turf, this attractive clock stands 4.5" high. From the famous monastery and centre of learning, 887AD, with a simple disciplined design, typical of the best Celtic interlacing. 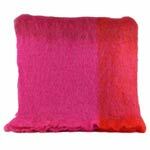 7 inches tall, wall hanging, hand cast in Kinsale. 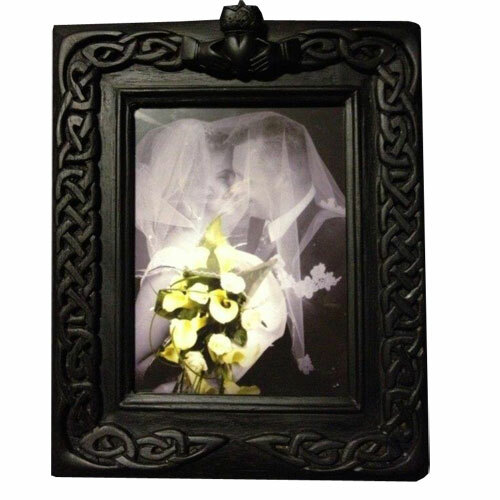 A beautifully carved picture frame made from turf laid down over 5000 years ago. 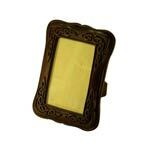 Has a display size of 3.5" x 5" overall size 5.5" x 7.5" **BLACK not BROWN as shown. 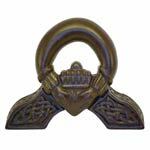 A Claddagh Ring on a plaque for your mantlepiece or to hang on the wall. 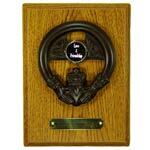 Includes a brass plate which you can get engraved to personalise it. Sculpted from real Irish turf.